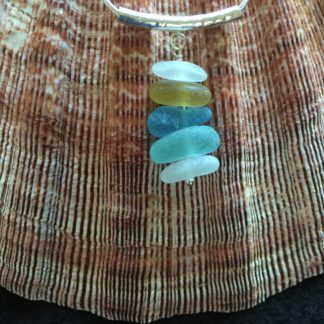 View cart “Brown Sea Glass Pendant with Gold Dolphin Charm” has been added to your cart. 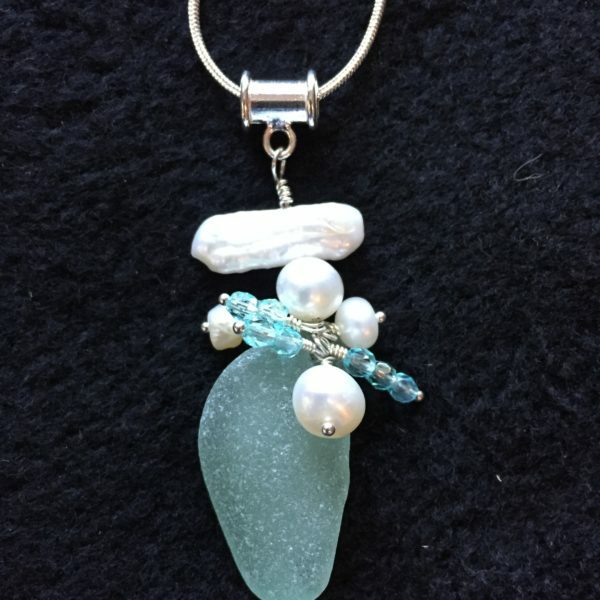 Unique sea foam sea glass, with beautiful pearls and blue-green crystals. This necklace is one of a kind. 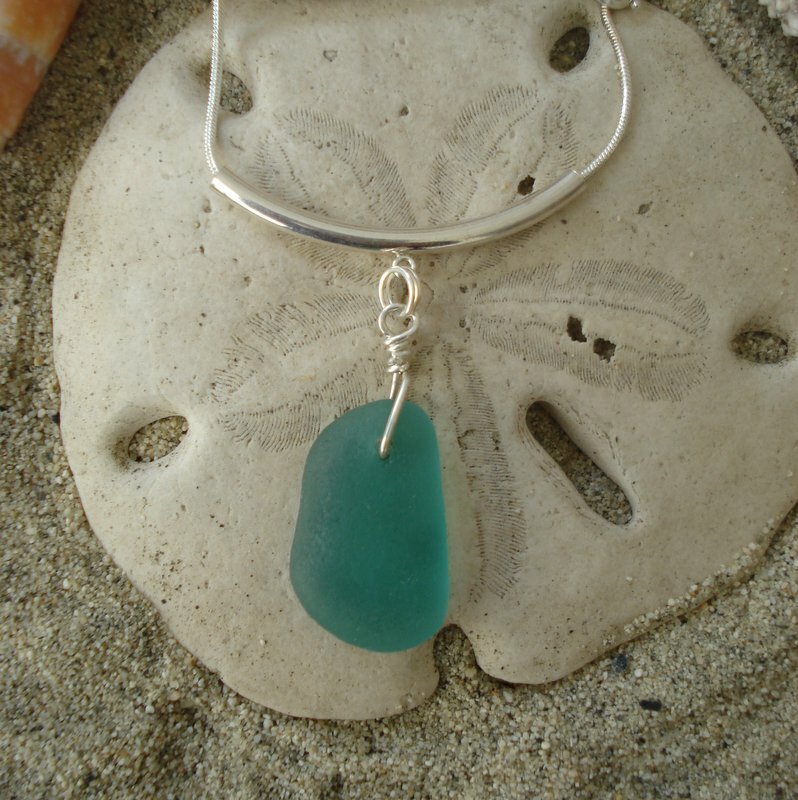 It is attached to a sterling silver bar, and comes with an 18 inch sterling chain. 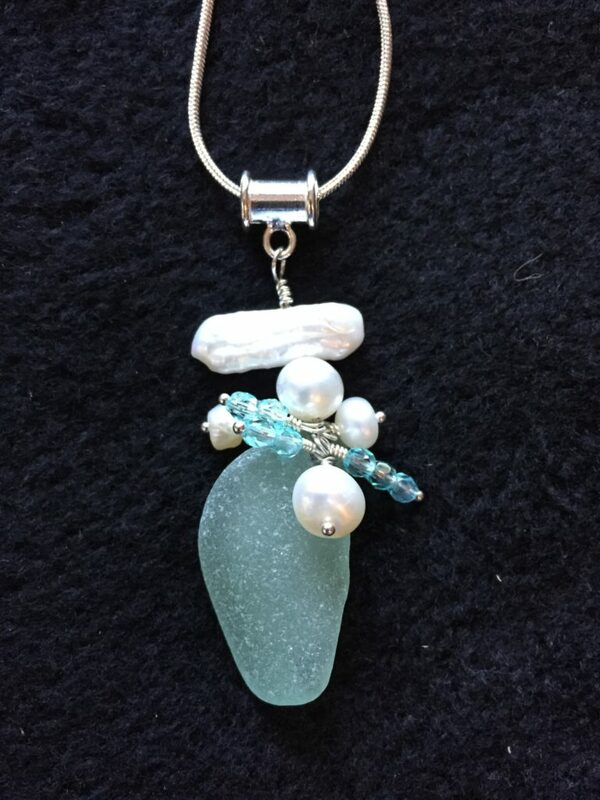 From the top of the pearl to the bottom of the sea glass it measures 1 3/4 inches. 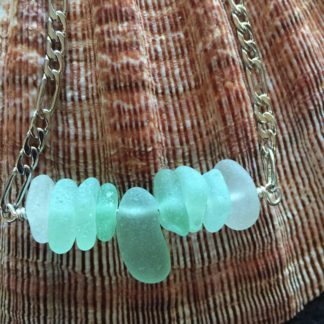 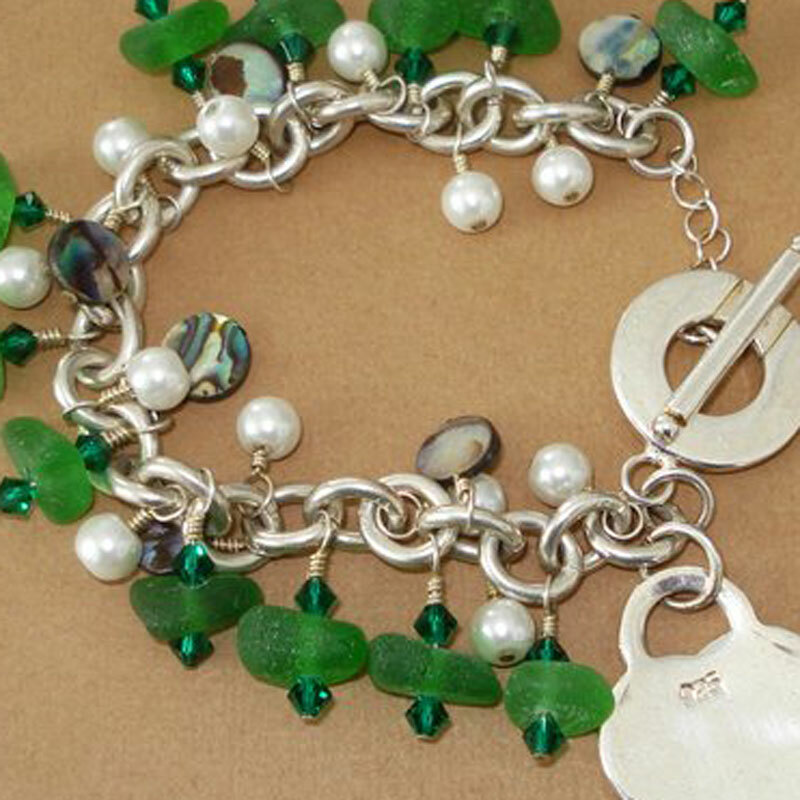 Location – sea glass is from Mazatlan, Mexico.